Turn In your Pinnacle Coupons and Win Prizes! We are honored to have Co-Op as a corporate sponsor of PWHAT. Co-Op has been a very generous sponsor for PWHAT for the last several years and we appreciate their sponsorship! Did you know that we can take even greater advantage of their sponsorship by collecting an additional $1.00 per bag for their Pinnacle feed products? All you have to do is save the bar codes from Pinnacle feed products and turn them in to PWHAT — and we will receive an additional $1.00 per bag from Co-Op! We will collect the coupons throughout the year at PWHAT events like our shows, trail rides and banquet. You may also give them to a board member or mail them to us at any time. If you buy Pinnacle in bulk, you can turn in your receipt to receive credit. In order to make our members aware of this additional sponsorship opportunity in 2019, we are having a contest to see who can turn in or mail in the most Pinnacle bar codes!! We will have a jar at shows, trail rides and other events for you to submit your coupons. Make sure you submit your coupons in an envelope with your name or otherwise indicate which coupons you submitted. Thank you for helping us earn even more sponsorship money and thanks to Co-Op for being a great sponsor! 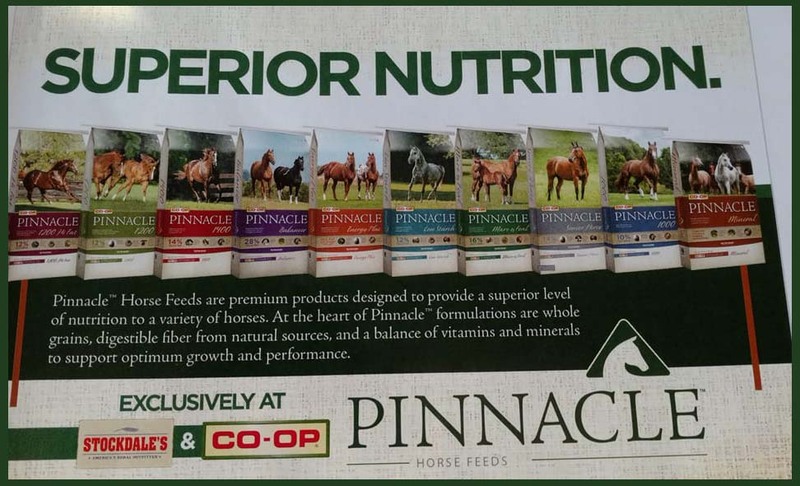 Please save your Pinnacle feed coupons and turn in throughout the year at shows and trail rides so you can win great prizes! !